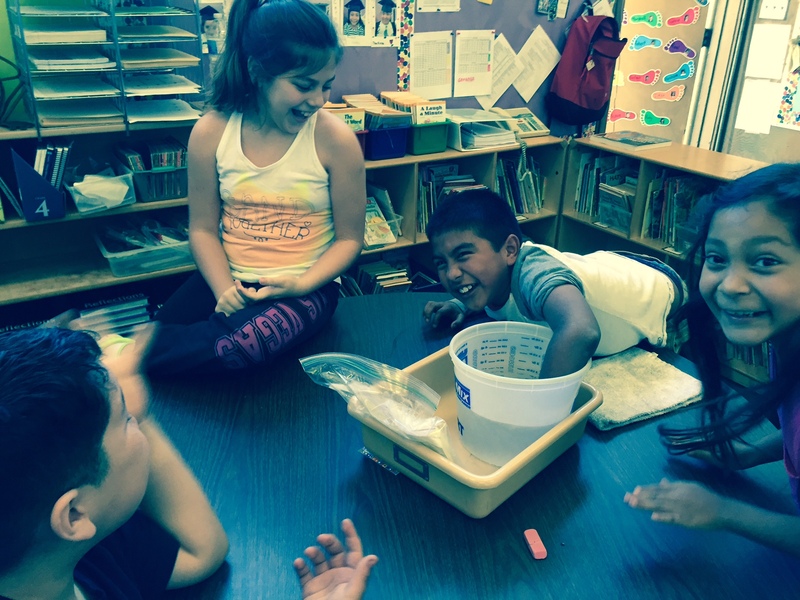 Introduction: The Grade 4 Physical Science Unit focuses on magnetism and electricity. All of the Grade 4 California Science Content Standards for Physical Science are addressed in this unit. By the end of the unit students will know: electricity and magnetism are related effects that have many useful applications in everyday life. Through a series of hands-on investigations students will experience the effects of magnetism and learn about static and current electricity. Students will design, build, and use: series and parallel circuits, a simple compass, and an electromagnet. Students will learn the role of electromagnets in the construction of electric motors and experience how electrical energy can be converted to heat, light, and motion. The Grade 4 Physical Science Unit is presented to students through a series of investigations, experiments, active learning experiences, questions, and assessments. Assessments include: pre-, post-, and 3 formative assessments. Conceptual Flow Narrative: The Grade 4 Conceptual Flow Narrative for Physical Science: Matter builds on the concepts presented on conceptual flow graphic by describing the concept(s) addressed in each lesson and the links that connect each lesson to the next. Lessons are linked to the previous lesson and the lesson that follows via a conceptual storyline. This ensures the development of student understanding as students progress from one concept to the next. After students have completed the Pre-Assessment, they begin their exploration of physical science with Lesson 1, “May the Magnetic Force Be with You.” In this lesson students learn that magnetism is a force that exerts a push or pull and that magnets have 2 poles: a north and a south pole. Students also learn that like poles repel each other and opposite poles attract each other. In the previous lesson, students learned about magnetism. In Lesson 2, “Amazing Magnets,” students learn that magnets may be natural or man-made. Students also learn that magnets are found throughout the world and have many uses. A Powerpoint presentation is included in the lesson to illustrate the history of magnetism. At the end of the lesson students construct a timeline of discoveries and uses of magnetism. In Lesson 2 students learned about how humans discovered and use magnetism. In Lesson 3, “Magnetic Fields-the Earth Acts as a Giant Magnet,” students learn that all magnets have a magnetic field and that a compass is a device that detects the magnetic field around a magnet and the Earth. In Lesson 3 students have been introduced to compasses. In Lesson 4, “Magnetic Fields-Making a Compass,” students use a magnetized needle and styro-foam to make a compass. Students learn that a compass is an instrument that uses a freely moving magnetic needle to indicate direction. After Lesson 4, students complete Formative Assessment #1. This assessment is aligned to the learning objectives of Lessons 1-4 and provides feedback to the teacher, students, and parents about what students have learned in the beginning of the unit. The teacher is able to use information from this formative assessment to determine if additional instruction is necessary for student understanding of the concepts presented in Lessons 1-4 before proceeding to the next section of the unit. In Lesson 5 students learned that static electricity is the build up of electrical charge. In Lessons 6, “Simple Circuits,” students learn that current electricity flows in a complete circuit. Students investigate how to light a bulb in a simple circuit and discover that complete circuit can be constructed in more than one way using the same materials. In Lesson 7 students how to test various materials for conductivity. In Lesson 8, “Series Circuits and Switches,” students learn that a series circuits and switches. If one light bulb goes out in a series circuit, all bulbs will go out because the only path for electricity to travel has been interrupted. Switches open and close circuits. Students also learn about schematics used for electric circuits. After Lesson 8, students complete Formative Assessment #2. This assessment is aligned to the learning objectives of Lessons 5-8 and provides feedback to the teacher, students, and parents about student understanding of phase change. The teacher is able to use information from this formative assessment to determine if additional instruction is necessary for student understanding of the concepts presented in Lessons 5-8. Students continue to investigate circuits in Lesson 9, “Parallel Circuits.” Students learn that a parallel circuit has multiple pathways for electricity to follow. If one light bulb goes out in a parallel circuit, the remaining light bulbs will stay lit because there are multiple paths for the electricity to follow. In Lesson 10, “Electromagnets” students learn the difference between permanent magnets and temporary magnets, such as, electromagnets. An electromagnet is a piece of iron that becomes a temporary magnet when electricity flows through an insulated wire wrapped around the piece of iron. More coils of wire wrapped around the iron results in a stronger electromagnet. Students conduct an experiment to find out how to increase the strength of an electromagnet. In Lesson 11, “Hot Wire S’Mores,” and in Lesson 12, “Motors,” students learn how electric energy may be transformed into heat, light, sound, and motion. After Lesson 12, students complete a post-assessment to determine their overall understanding of the concepts presented in the unit. I absolutely love these lessons!!!! Way to go! Thanks for all of your hard work! As a new teacher who is teaching Science for the first time, without a current curriculum, your lessons have been a life saver. Thank you so much for sharing. Awesome lessons!!! I appreciate you sharing this in order to eliminate the first year of blindly finding my way. My students receive the greatest benefit from your generosity. As I become a more seasoned teacher I will be sure to take notice of your shining example and pay it forward. I am forever grateful!!!!!!!!!!!!!!!!!!!! Thanks for sharing, they helped a lot as our country’ textbook has offered nothing but theory.